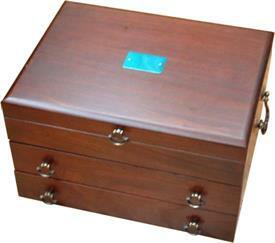 A complete list of Silver Chests for sale affordable pricing ! 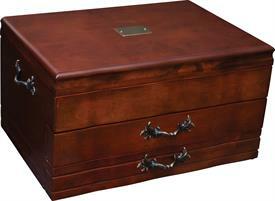 Here is a complete list of our silverware chests. 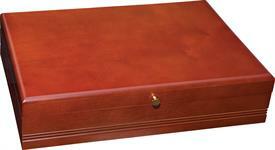 We offer Free Shipping on most of them. 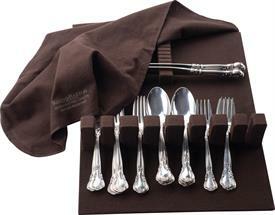 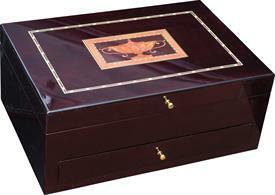 All are lined with tarnish preventative cloth and are made of high quality wood veneers that will last a lifetime. 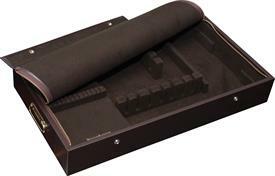 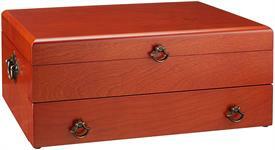 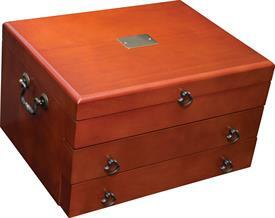 Drawer Liner- 19 1/2"x12x 2 3/4" In Luxurious Brown Tarnish Retardent Fabric. 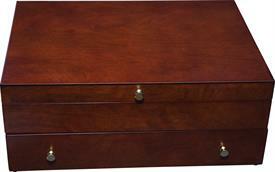 Will Accommodate A Complete Settings For Twelve. 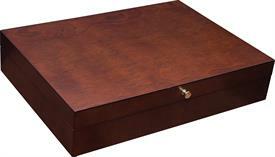 ,$Dl120 Drawer Liner Pad Holds Up To 120 Pieces Non Zippered Tarnish Preventative Cloth By Reed & Barton 17.5" X 13.75" X 2.5"
:$570M Mahogany 1 Drawer Holds 180 Pieces 17" X 11-1/2" X 6-3/4"
,$Arlington 521. 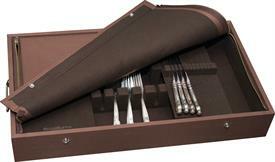 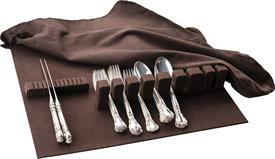 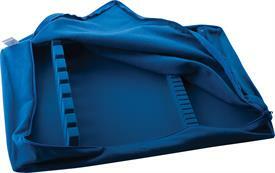 Includes 2 Removable Knife Trays To Hold Up To 36 Knives/Spreaders. 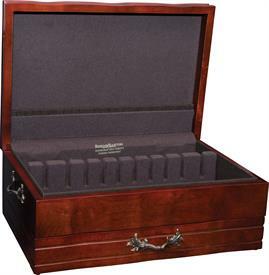 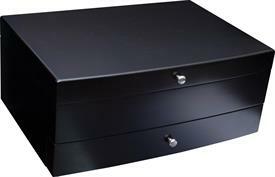 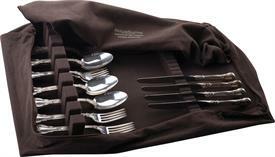 Holds Service For 24, Up To 200 Pieces. 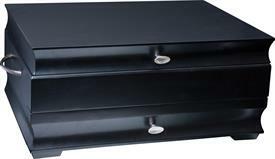 23"X14"X3.25"
,$50Mb Somerset Flatware Chest By Reed & Barton, Mahogany Holds Up To 120 Pieces 15" X 10.75" X 3.25"
64Bk Manhattan 1 Drawer Silver Chest Black Finish Holds Up To 24 Settings 16.15" X 11.6" X 7.5"